How high are realtors´ and lawyers´ fees in Dominican Republic? What about other property purchase costs? How difficult is the property purchase process in Dominican Republic? There are no restrictions on foreign ownership of property. Residents and nonresidents enjoy the same rights and obligations. To purchase a property, the first thing to do is hire a real estate lawyer. There is much history of fraud by real estate agents in the country, and little protection is offered to you as a buyer. Be vigilant. Any knowledge of Spanish must be shown off. Real estate agents tend to offer higher prices to foreigners, especially when their services are employed in English. A 10% deposit is required to reserve the property and take it off the market. Subsequently, the lawyer will conduct the process of due diligence. This involves title search, overseeing the survey, and obtaining important documents from the seller, including a photocopy of the title. When this has been done and the buyer is satisfied with the supplied information, the buyer proceeds to making payments of the remaining balance. Payments are usually made by depositing to the lawyer´s escrow/trust account. When all has been cleared, the lawyer will transfer the payment to the seller´s account before closing. The notary/lawyer authenticates the "Contract of Sale" signed before him by the buyer and the seller. The "Contract of Sale" is processed in the Internal Revenue Office where taxes will be paid. After the transfer, the lawyer will submit the documents to the Title Registry Office where the title will then be changed to bear the new owner´s name. The whole process of registering a property can be completed in around 47 to 52 days. Under Law No. 288-04, Transfer Tax is set at 3% and must be paid to the Tax Authority (Direccion General de Impuestos). Notary fees are around 0.25% to 1 % of the property value. Document stamp tax is around 1.30% of the property value. 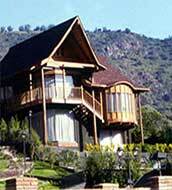 Real estate agent´s fee is negotiable, typically between 5% and 10% of purchase price. 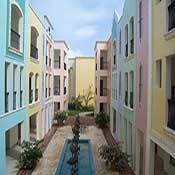 How landlord-friendly is the law in Dominican Republic? Could Dominican Republic property be a good buy?